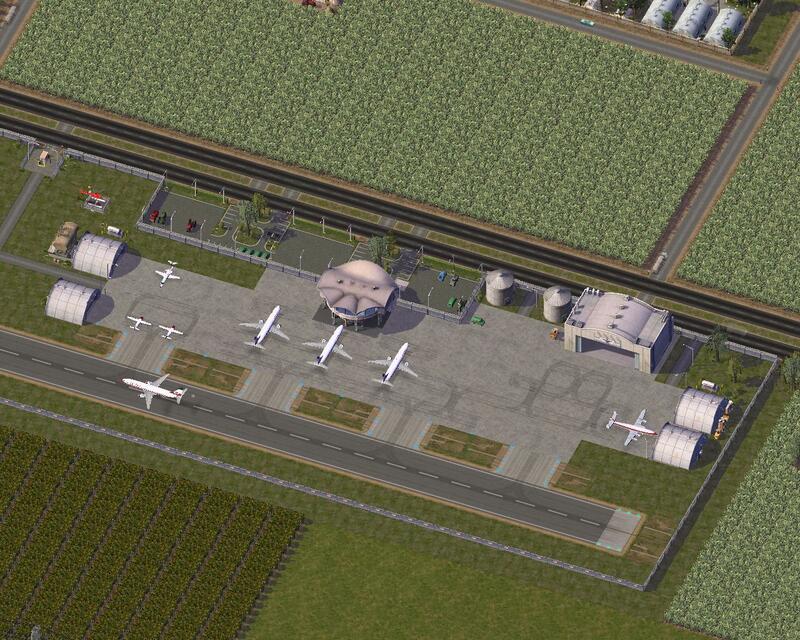 This airport is the second largest, designed to compliment SPAM and MTP communities and will replace the Maxis Municipal Airport. The parking lots are transit enabled for vehicles. All costs, stats and lot size remain the same as the Maxis original. **Note: Additional dependency files are required for this lot. Please see the readme for details. 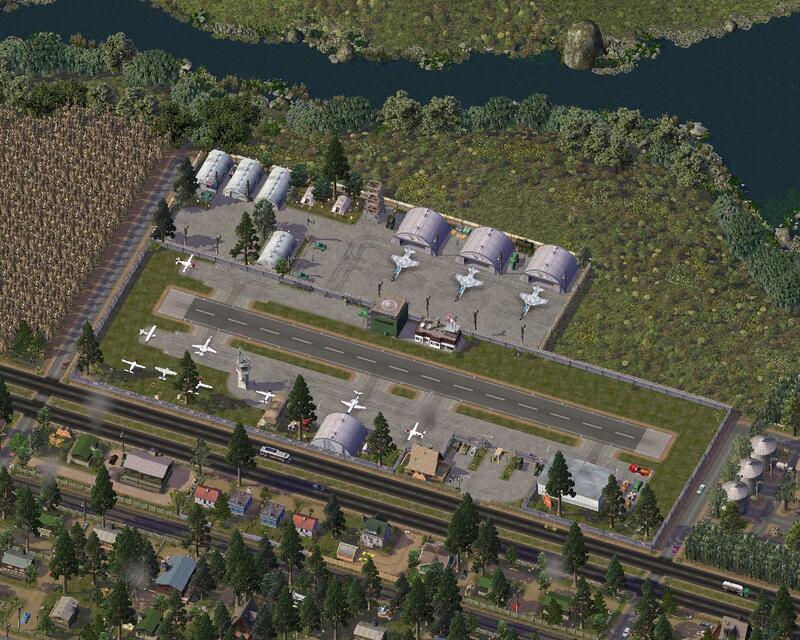 Way back in June 2010 the MTP abcvs Small Landing Strip one of my first ever lots was released. It was also pre-spam so did not include any of the better props and textures from that pack. The landing strip has now been given a mini make-over with a few of the newer SPAM props and textures. The movie set trailer check in facilities have been given a small upgrade to an A-Frame chalet. The rollo-gate prop has now also been fixed, and the main gate will now open and close properly. The parking lot is now transit enabled for vehicles and pedestrians. This lot will replace the Maxis Small Landing Strip in-game however all costs and stats remain the same as the Maxis original. **If you are using the original MTP abcvs Small Landing strip please delete that file from your plugins and replace it with this one. 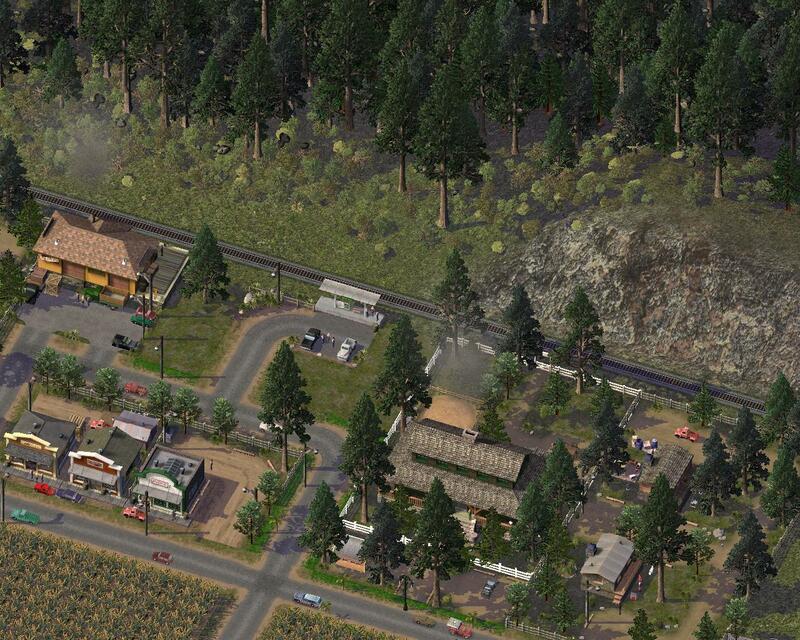 This rural passenger station is designed to compliment SPAM and MTP themed communities. The lot will plop one of five different station buildings, and features various timed props that will appear during the day. The station is transit enabled for both passenger and freight trains. The parking lot is also transit enabled for vehicles. 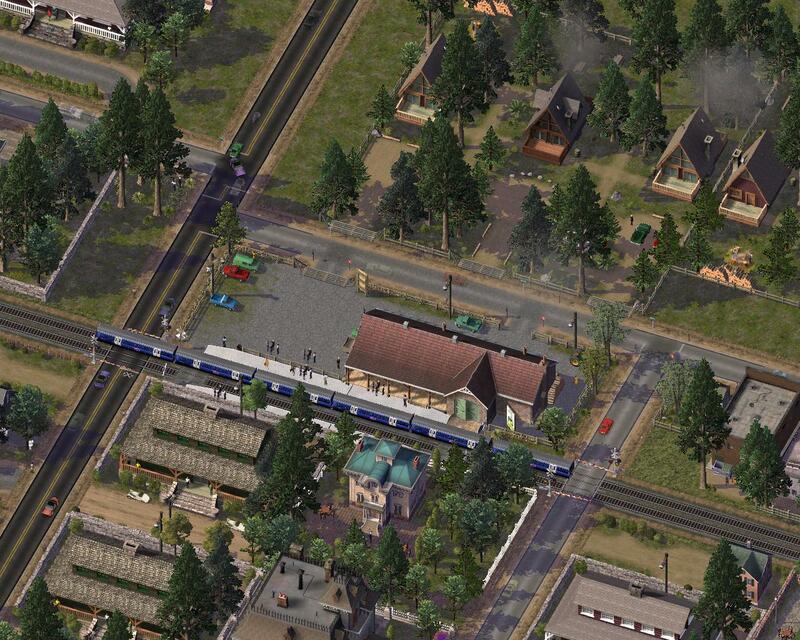 This small rural rail halt is designed to compliment SPAM and MTP themed communities, that has a quarter the capacity of a regular train station. The parking lot is transit enabled for vehicles. *Moonshine Still Water PumpThe lots have varying smoke and ‘vapour’ effects depending on what the utility is actually producing. Naturally the most noxious of the four is the longdrop, and yes it does cause just a small amount of air pollution (10). The good news however is that while it produces the same power output as the donkey generator (500), its running costs are considerably less, after all… as long as the TP costs are covered… the rest is pretty much free.These utility lots have reduced stats and outputs, as they are not intended to power or water a whole tile… rather just a small isolated part of it. Of course if you want to stick one of these babies, in your ultra modern megatropolis, and call it an ‘art installation’ then of course you can!All lots have transparent base textures to blend with whichever terrain mod is being used, and are slope tolerant. The boys have fired up the old donkey engine, and connected the flywheel to a generator. I am not entirely sure if the set up is completely safety approved, but it does seem to work! The boys seem to alternate between chopping wood and standing around yakking.